You could wait in line for hours at an autograph signing. You could stalk her outside of her recording studio. Or, if you REALLY want to meet recording sensation Shakira you could just become the country’s labor secretary. I bet Hilda Solis never thought she’d be chatting it up with a pop icon when she was still a student at La Puente High School. Looks like Irwindale is losing two city executives to retirement. 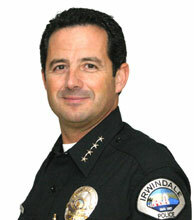 Along with City Manager Robert Griego, Police Chief Sol Benudiz is also retiring. Benudiz’s last day is Dec. 31, after which he will continue on as an interim chief until the city can find his permanent replacement. It will be three years in September since Benudiz took the role of heading up the department. He said his decision to leave has nothing to do with officials’ recent interest in the Sheriff’s Department for law enforcement services. Benudiz said he does not have another job lined up, but is looking forward to opportunities in government or in the private sector in the future. 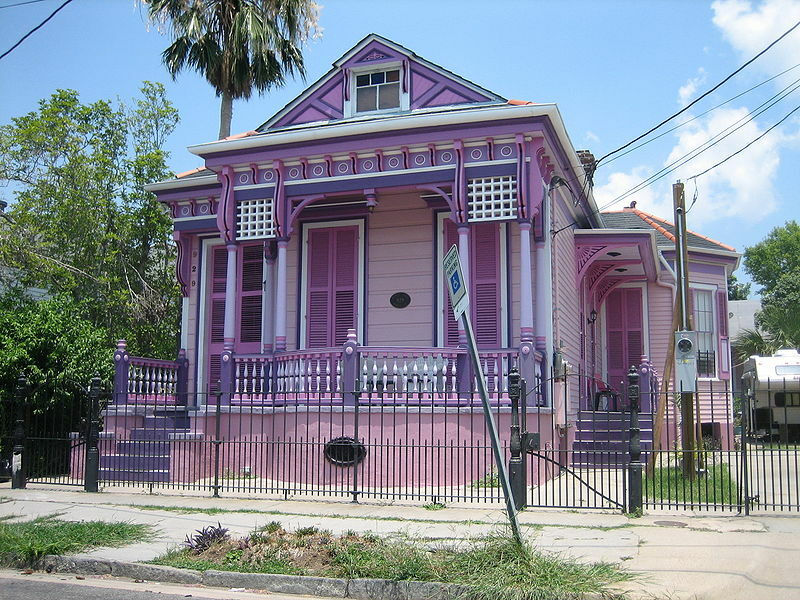 Ever drive through a neighborhood and notice homes that are painted lime green, bright purple or even pastel pink? In West Covina, Planning Commissioner Robert Sotelo is trying to stop residents from painting their houses with such bright colors. Ben Baeder is working on a story about Sotelo’s mission — “I would not really like to have a pink house or a lime-green house next to me,” Sotelo said. Apparently, enforcing such a rule isn’t easy. But that doesn’t mean it hasn’t happened. In Lauderhill, Fla., the city in 2003 forced the owner of a purple house to repaint the home with colors that complied with the city’s guidelines. We’ll see what West Covina decides. Look for Baeder’s story in this week’s paper. The November municipal elections are coming up, which means a lot of ongoing coverage about who is running, how much they’ve raised and what’s in their campaign platforms. In El Monte, a dozen candidates are hoping to fill five seats in the city: mayor, city treasurer, city clerk and two city council seats. Starting with the mayoral race, Ernie Gutierrez will face challenger Andre Quintero for the largely ceremonial post. Quintero is a deputy city attorney for the city of Los Angeles and a Rio Hondo College board of trustees member. Gutierrez faced criticism last year when he allegedly showed up drunk at a Sister City event. Months later he was arrested on domestic violence allegations in a separate incident. No charges were ever filed in that case. Moving on to the City Council, incumbents Juventino “J” Gomez and Art Barrios face four other candidates in their bids for reelection. They are: Angel Ralph Nunez, a purchasing agent in the city’s finance department; planning commissioner Richard Garner; 30-year-old information security specialist Kien Lam; and architect Norma Macias. City Clerk Lorene Gutierrez will face Bharat Patel, a hotel owner and planning commissioner, for her seat. And City Treasurer Henry Velasco, who has held his post for 17 years, faces former El Monte Police Lt. Richard Thomas in that race. **********In La Puente, there are two open seats in November’s City Council race, and only four people running. Incumbents Lola Storing and Louie Lujan will face former Councilwoman Renee Chavez and former council hopeful David Argudo in the Nov. 3 election. All are vying for four-year terms. *Storing has been serving on the City Council for eight years. Her political career is familial too — her husband Charlie was on the council years back, and has served as mayor. *Lujan is also running for his third term on the Council, as well as exploring the option of an Assembly seat run. He is currently the target of a District Attorney investigation alleging campaign contribution violations. *Argudo is a business owner and La Puente High School graduate. He ran for council in 2007, but lost to Councilman John Solis by just 27 votes. *Chavez ran for council in 2007, but as an incumbent. She too lost, coming in 94 votes behind Solis. But that’s not Chavez’s only failed run for political office. She has run unsuccessfully for La Puente council before, and as a democrat e 57th Assembly District seat in 2006. At the time, she was trying to fill the seat being vacated by her husband, Ed Chavez, who was termed out. *********Looks like West Covina will be $1.1 million richer over the next two years, thanks to Fire Department employees who agreed to defer their raises. Ben Baeder reported last week that the Fire Fighters Association and Fire Management Association have opted against a 5-percent raise they were supposed to receive beginning in January to help with the city’s budget deficit. Now, they’ll get half of that proposed raise in July 2011 and the other half in January 2012. All Fire Department employees will also get 36 hours of vacation time. The city’s police union cut a similar deal in July, saving West Covina $1.8 million. For a town of just 11,000, Sierra Madre sure has its share of big city woes. Star-News reporter Alfred Lee has a story in Monday’s paper about 10 legal cases surrounding the city’s 20-member Police Department. Four suits and two claims were filed by the police officers’ union against the city, and another three suits and one claim were filed by residents alleging misbehavior by officers. Some of those suits target Police Chief Marilyn Diaz. And on top of all of that, an additional three lawsuits could soon be filed by the union. What gives? Former Pico Rivera Mayor Gracie Gallegos was praised last month for her service to the city, and her decision to resign her post in order to spend more time with her family. Now, some can’t help but wonder if a 2007 felony fraud conviction had anything to do with it. Bethania Palma reported that Gallegos was accused of cashing a check for $3,173 from the car insurance company where she worked as part of a fraudulent claim in 2007. Yet in March, she was elected to the City Council despite the allegations. By August of that sane year, she had been convicted. Fuentes helped Gallegos on her campaign. Gallegos says her decision to resign had nothing to do with the felony conviction. And then she declined to comment further, according to Palma saying she is now “a private citizen” and not obligated to respond to press inquiries. Thinking of lugging that old couch to Colorado Boulevard to watch the Rose Parade this year? Well you better think twice — city officials are looking to ban such items and other bulky furniture from the parade route as a way to ease New Year’s Day clean-up. Star-News reporter Dan Abendschein reports the Pasadena City Council is mulling an ordinance that would allow police to issue citations to people who bring in big furniture or lots of chairs to the route. “The prohibition will likely be against anything that can’t be moved by one person alone,” said Nicholas Rodriguez of the City Attorney’s Office. Apparently, it costs the Old Pasadena Management District several thousand dollars each year to clean up old barbecues, mattresses and couches along four blocks of the route. There are two open seats in La Puente’s November City Council race, and only four people running. Incumbents Lola Storing and Louie Lujan will face former Councilwoman Renee Chavez and former council hopeful David Argudo in the Nov. 3 election. Lujan is currently under investigation by the District Attorney’s office over allegations of campaign finance violations. Moving on to Argudo — he’s a business owner and La Puente High School graduate. He ran for council in 2007, but lost to Councilman John Solis by just 27 votes. Then there’s Chavez, who fought to keep her seat on the council in 2007, but also lost coming in at 94 votes behind Solis. Chavez also ran unsuccessfully for the Democratic ticket for the 57th Assembly District seat in 2006, but lost to Ed Hernandez. At the time, she was trying to fill the seat being vacated by her husband, Ed Chavez, who was termed out. Should be an interesting race. Looks like West Covina will be $1.1 million richer over the next two years thanks to Fire Department employees who agreed to defer their raises. Ben Baeder reported earlier this week that the Fire Fighters Association’s and Fire Management Association have opted against a 5-percent raise they were supposed to receive beginning in January to help with the city’s budget deficit. The city’s police union agreed to a similar deal in July, which saved West Covina $1.8 million. West Covina was looking at a $10 million deficit for the 2009-10 fiscal year, but the gap has narrowed due to concessions from employees and other cuts. With the November elections coming up, you are going to be seeing a lot of coverage on this blog about who is running in your cities, how much they’ve raised and what their campaign platforms are. A dozen candidates are vying for five municipal posts up for election in November — mayor, treasurer, city clerk and two city council seats. Council members Juventino “J” Gomez and Art Barrios, face four other candidates in their bids for reelection to their council seats. Angel Ralph Nunez, a purchasing agent in the city’s finance department; planning commissioner Richard Garner; and 30-year-old information security specialist Kien Lam. Garner, 60, worked for the city for 32 years in various posts, ending his career as environmental services manager. Lam helps manage his family’s heating and air conditioning business, and works on information security for a biomedical company in Orange County. The city council ballot will also include architect Norma Macias, who ran in 2007 and won 25 percent of the vote. Macias, 38, currently works overseeing infrastructure projects in South El Monte. In the mayoral race, Ernie Gutierrez faces a challenger in Andre Quintero, a 34-year-old deputy city attorney for the city of Los Angeles and a Rio Hondo College board of trustees member. The city’s treasurer and city clerk also faces challengers. City clerk Lorene Gutierrez will face Bharat Patel, 42, a hotel owner and planning commissioner who has helped get city rules relaxed regarding how long guests can stay in local motels before they are considered residents. City Treasurer Henry Velasco, who has held the post for 17 years, is being challenged by former El Monte Police Lt. Richard Thomas, 62.